← Night Diving for Scallops? Can Party Boat Passengers Catch Boat Limits as well as the Crew Limits? Answer: If the angler was fishing on a commercial passenger fishing vessel, or party boat, and she gave the fish to other anglers who had not filled their limits prior to exiting the boat, she was not in violation. Regarding the crew’s limit, the captain was wrong. Passengers cannot legally catch fish under the limits allowed for the captain and crew. The captain and crew must keep their fish separate from fish caught by passengers. The regulation on this reads: “The vessel operator(s) and crew members are not passengers and may not take fish towards obtaining boat limits for passengers except for casting, setting trolling gear, gaffing or netting fish, but may take fish during a fishing trip for their personal use only. Vessel operator(s) and crew members may assist passengers in other activities including, but not limited to, obtaining bait, chumming, baiting and untangling hooks and lines, identifying, dispatching, filleting, counting, bagging and otherwise handling fish taken by passengers. 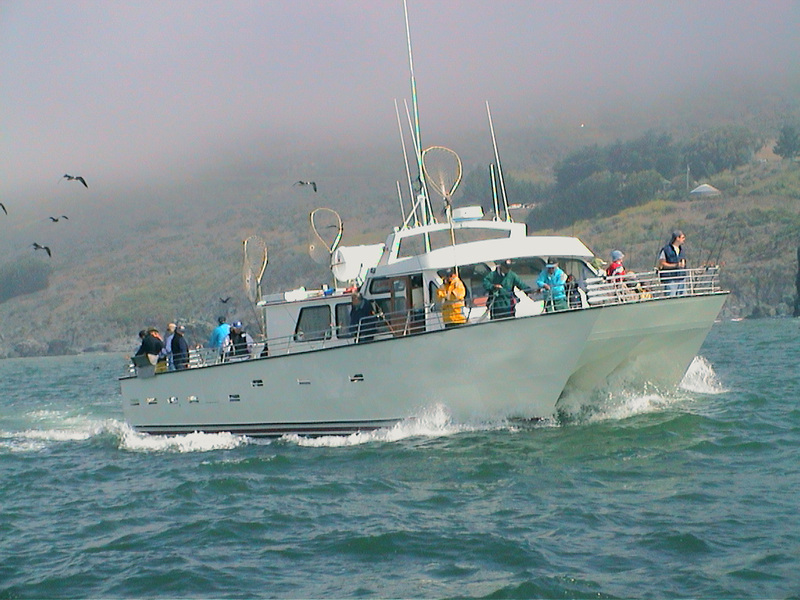 Upon completion of a fishing trip, the vessel operator(s) and crew members may only possess fish that are part of their own personal bag limit not to exceed authorized sport fishing daily bag and possession limits.” (California Code of Regulations Title 14, section 195 (e)(1). Answer: There are no laws prohibiting the use of trail cameras or tree stands in California. Similarly, DFG regulations do not prohibit the use of tree spikes or ladders. However, federal land agencies or local ordinances may prohibit climbing spikes because of the potential for damage to the trees’ cambium layer, which in turn can lead to disease. You should check local ordinances and any restrictions with the appropriate federal agencies. Two rod stamp for juvenile angler? Answer: Every person 16 years of age or older must have a valid fishing license in possession in order to fish or take fish (FGC section 7145(a). For those under 16 years of age, no fishing license or second rod stamp is required. Holding a Bucks and Bulls contest … is this legal? Answer: It is generally illegal to offer a prize for taking game, but there is an exception in Fish and Game Code section 2003(d) allowing for contests where the total value of all prizes is less than $500. This entry was posted in Deer Hunting, Elk, Freshwater Fishing, Hunting, Licensing/Permits/Stamps/Report Cards, Saltwater Fishing, Uncategorized and tagged big game hunting, Licenses, ocean fishing. Bookmark the permalink.